If you do a lot of screenshots from your Android phone or Android Wear devices, this app is really a must have to make them look great. The best thing is, Toastcode, the company that develops the app, offers it for free so there really isn’t any reason not to download it and give it a try. 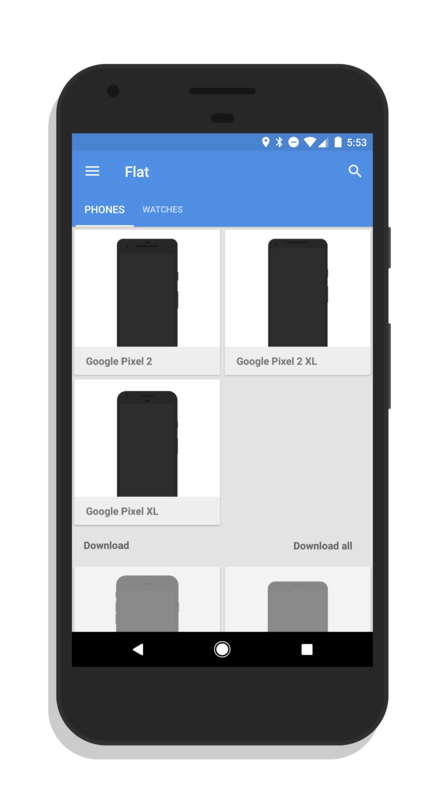 In order to add the new Google Pixel 2 frames to your install of the app, just scroll down and then tap the one you want. It will be downloaded to your device and will be placed at the top of the screen so you can find it easily. If you want to delete a frame, just long press it and you will get the option to delete it. To download Screener from the Play Store, follow this link.